With On-Demand instances you only pay for EC2 instances you use. The use of On-Demand instances frees you from the costs and complexities of planning, purchasing, and maintaining hardware and transforms what are commonly large fixed costs into much smaller variable costs. On-Demand instances let you pay for compute capacity by the hour or second (minimum of 60 seconds) with no long-term commitments. This frees you from the costs and complexities of planning, purchasing, and maintaining hardware and transforms what are commonly large fixed costs into much smaller variable costs. The pricing below includes the cost to run private and public AMIs on the specified operating system (“Windows Usage” prices apply to Windows Server 2003 R2, 2008, 2008 R2, 2012, 2012 R2, and 2016). Amazon also provides you with additional instances for Amazon EC2 running Microsoft Windows with SQL Server, Amazon EC2 running SUSE Linux Enterprise Server, Amazon EC2 running Red Hat Enterprise Linux and Amazon EC2 running IBM that are priced differently. Pricing is per instance-hour consumed for each instance, from the time an instance is launched until it is terminated or stopped. Each partial instance-hour consumed will be billed per-second for Linux Instances and as a full hour for all other instance types. The vCPU number is the default and maximum number of vCPUs available for the specified EC2 instance type. You can specify a custom number of vCPUs when launching this instance type. Instance pricing will remain same as displayed above. For more details on valid vCPU counts and how to start using this feature, visit the Optimize CPUs documentation page here. Looking for T1, M1, C1, CC2, M2, CR1, CG1, I2, HS1, M3, C3, or R3 instances? See the Previous Generation Instances page. The pricing below is based on data transferred "in" to and "out" of Amazon EC2. If the Data Transfer per month is greater than 500 TB / month, please contact us. Rate tiers take into account your aggregate usage for Data Transfer Out to the Internet across Amazon EC2, Amazon S3, Amazon Glacier, Amazon RDS, Amazon Redshift, Amazon SES, Amazon SimpleDB, Amazon SQS, Amazon SNS, Amazon DynamoDB, AWS Storage Gateway, and Amazon CloudWatch Logs. Data transferred "in" to and "out" from Amazon EC2, Amazon RDS, Amazon Redshift , Amazon DynamoDB Accelerator (DAX), and Amazon ElastiCache instances or Elastic Network Interfaces across Availability Zones or VPC Peering connections in the same AWS Region is charged at $0.01/GB in each direction. IPv4: Data transferred “in” to and “out” from public or Elastic IPv4 address is charged at $0.01/GB in each direction. IPv6: Data transferred “in” to and “out” from an IPv6 address in a different VPC is charged at $0.01/GB in each direction. Data transferred between Amazon EC2, Amazon RDS, Amazon Redshift, Amazon ElastiCache instances and Elastic Network Interfaces in the same Availability Zone is free. See above when transferring data using VPC peering. 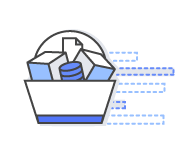 Data transferred between Amazon S3, Amazon Glacier, Amazon DynamoDB, Amazon SES, Amazon SQS, Amazon Kinesis, Amazon ECR, Amazon SNS or Amazon SimpleDB and Amazon EC2 instances in the same AWS Region is free. AWS Services accessed via PrivateLink endpoints will incur standard PrivateLink charges as explained here. Data transferred "in" to and "out" from Amazon Classic and Application Elastic Load Balancers using private IP addresses, between EC2 instances and the load balancer in the same AWS Region is free. EBS-optimized instances enable EC2 instances to fully use the IOPS provisioned on an EBS volume. EBS-optimized instances deliver dedicated throughput between Amazon EC2 and Amazon EBS, with options between 500 and 4,000 Megabits per second (Mbps) depending on the instance type used. The dedicated throughput minimizes contention between Amazon EBS I/O and other traffic from your EC2 instance, providing the best performance for your EBS volumes. 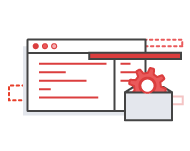 EBS-optimized instances are designed for use with both Standard and Provisioned IOPS Amazon EBS volumes. When attached to EBS-optimized instances, Provisioned IOPS volumes can achieve single digit millisecond latencies and are designed to deliver within 10% of the provisioned IOPS performance 99.9% of the time. For Current Generation Instance types, EBS-optimization is enabled by default at no additional cost. For Previous Generation Instances types, EBS-optimization prices are on the Previous Generation Pricing Page. The hourly price for EBS-optimized instances is in addition to the hourly usage fee for supported instance types. To learn more, visit the EBS Pricing Page. You can have one Elastic IP (EIP) address associated with a running instance at no charge. If you associate additional EIPs with that instance, you will be charged for each additional EIP associated with that instance per hour on a pro rata basis. Additional EIPs are only available in Amazon VPC. To ensure efficient use of Elastic IP addresses, we impose a small hourly charge when these IP addresses are not associated with a running instance or when they are associated with a stopped instance or unattached network interface. There is no charge for Elastic IP addresses you create from an IP address prefix you brought into AWS using Bring Your Own IP. On-Demand Capacity Reservations are priced exactly the same as their equivalent (On-Demand) instance usage. If a Capacity Reservation is fully utilized, you only pay for instance usage and nothing towards the Capacity Reservation. If a Capacity Reservation is partially utilized, you pay for the instance usage and for the unused portion of the Capacity Reservation. Learn more about On-Demand Capacity Reservations here. The CPU Credit pricing is the same for all instance sizes, for On-Demand and Reserved Instances, and across all regions. See Unlimited Mode documentation for details on when CPU Credits are charged. To see prices, visit the Amazon Cloudwatch Pricing page. Auto Scaling is enabled by Amazon CloudWatch and carries no additional fees. Each instance launched by Auto Scaling is automatically enabled for monitoring and the applicable Amazon Cloudwatch charges will be applied. To see prices, visit the Elastic Load Balancing page. * Your usage for the Free Tier is calculated each month across all regions except the AWS GovCloud region, and automatically applied to your bill – unused monthly usage will not roll over. Does not include Amazon EC2 running IBM, or the AWS GovCloud region. See offer terms for more details and other restrictions. ** As part of AWS’s Free Usage tier, new AWS customers will receive free 15 GB of data transfer out each month aggregated across all AWS services for one year except in the AWS GovCloud region. *** Rate tiers take into account your aggregate Data Transfer Out usage across Amazon EC2, Amazon EBS, Amazon S3, Amazon Glacier, Amazon RDS, Amazon SimpleDB, Amazon SQS, Amazon SNS, AWS Storage Gateway, Amazon DynamoDB, and Amazon VPC.